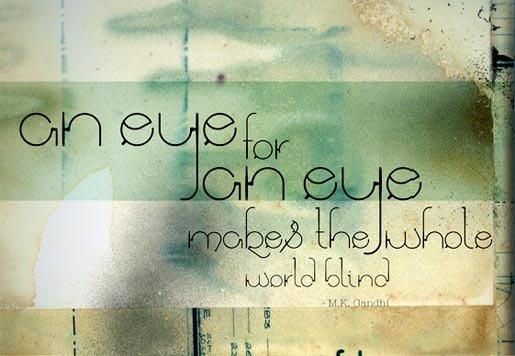 Leo Burnett Mumbai recently designed a set of fonts to celebrate the 141st anniversary of the birth of Mahatma Gandhi, (October 2, 2010) using the Indian leader’s spectacles for inspiration. 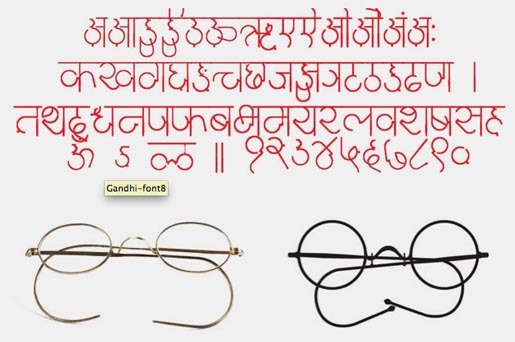 Typographers used Gandhi’s iconic glasses as the basis of a new Devanagari font, before moving on to English and nine other Indian scripts, with the results free to download online at www.gandhijifont.com. 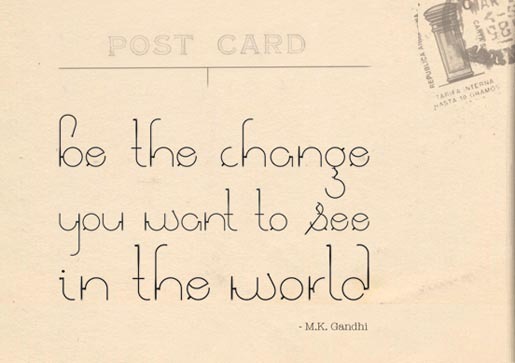 The exercise was designed to trigger the imagination of the youth towards Mahatma Gandhi’s teachings. 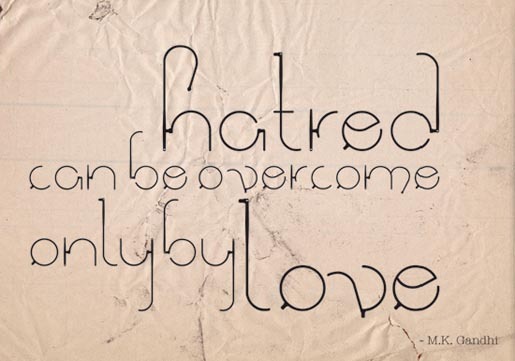 The font has been made available for free download on dozens of social media websites. The Gandhi Font was developed at Leo Burnett India, Mumbai, by national creative director KV Pops Sridhar, executive creative director Nitesh Tiwari, creative director/font designer Payal Juthani, art director/font designer Nadine Periera, art director Zainab Karachiwala, copywriters Sachin Kamath, Nikhil Mehrotra, guest copywriter Agnello Dias (Taproot), Arc Amjad Pendhari, Sujay Surve, account team Anup Vishwanathan, Seema Sood, Ankur Mitra, Nirmala Nathan.